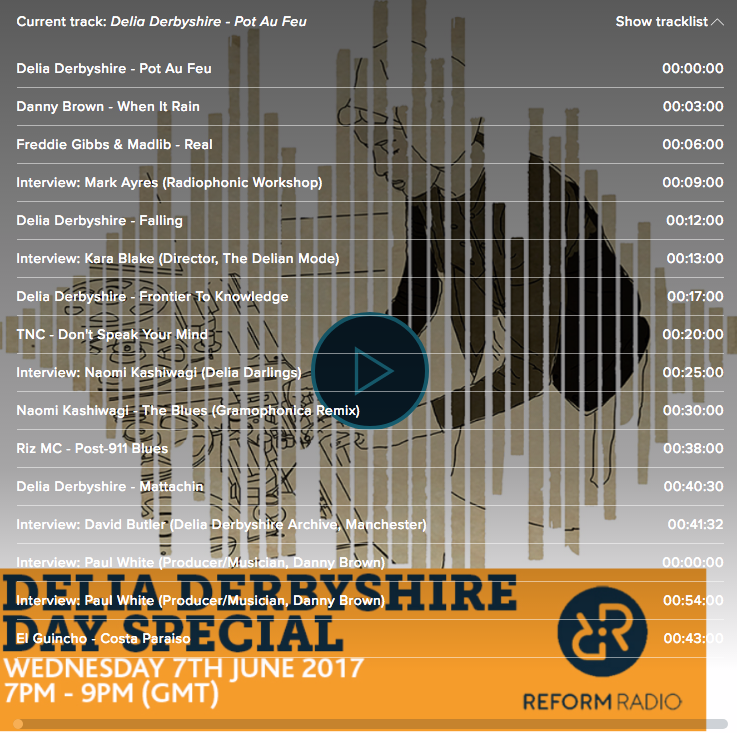 A 2 hour special I did for Reform Radio about the work of electronic music pioneer Delia Derbyshire. In the first hour I speak to producer Paul White about sampling Delia for Danny Brown, Waris Hussein (director of the very first Doctor Who episode, 1963’s An Unearthly Child), Delia archive custodian David Butler, Radiophonic Workshop don Mark Ayres, artist Naomi Kashiwagi and The Delian Mode film director Kara Blake. 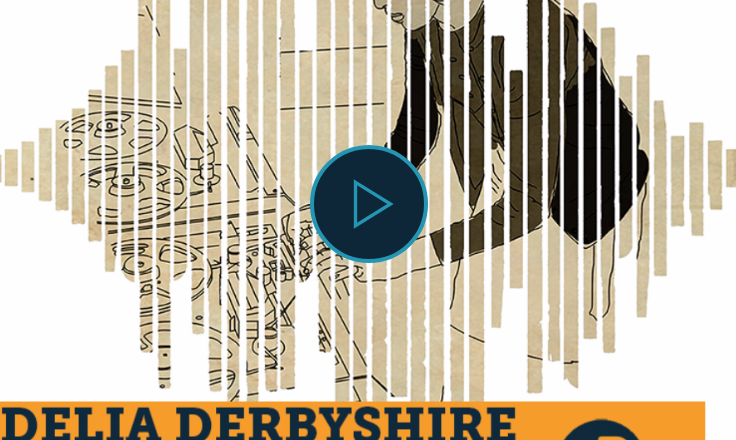 Most of these were from the inaugural Delia Derbyshire Day in 2013 at Band On The Wall. For the second hour I’m joined by electronic artist Caro C, who performs live in the studio, chats Delia Derbyshire Day, and premieres two never before heard Delia pieces courtesy of the archive. Music included Madlib and Freddie Gibbs, Danny Brown, TNC, Riz MC and more. The special got a mention from FACT and The Quietus.